Following our more than 24-hour journey, nothing more has made me excited than a nice room with cozy bed to sleep on. I was hungry and exhausted after all the flights and stopovers that we had. When we finally arrived in Kathmandu, I just couldn’t wait to go to our hotel then have a quick meal, nice shower and a restful sleep. Good thing, we booked our stay at Bodhi Boutique Hotel. It’s a new budget hotel in the city center offering clean and comfortable accommodation. The hotel provided us an airport pick up, which we found very convenient. Travel time to reach the hotel was about half an hour. After passing through the busy streets of Kathmandu, our driver dropped us off in a quiet alleyway in Thamel District where Bodhi Boutique Hotel is. I instantly felt that this will going to be a nice place for us. It has a peaceful neighborhood that also provides easy access to souvenir shops, restaurants and tourist attractions. The staff warmly welcomed us upon our arrival. We went inside the hotel then I presented my passport to the front desk for them to check our room reservation. I also filled up a form with my details. When everything was confirmed and settled, the receptionist then handed me our room key. Our room was on the third floor of the hotel. Unfortunately, there are only stairs. The receptionist asked us to leave our luggage and the staff will just bring them to our room. Bodhi Boutique Hotel offers different types of room. You may check room rates and availability here. 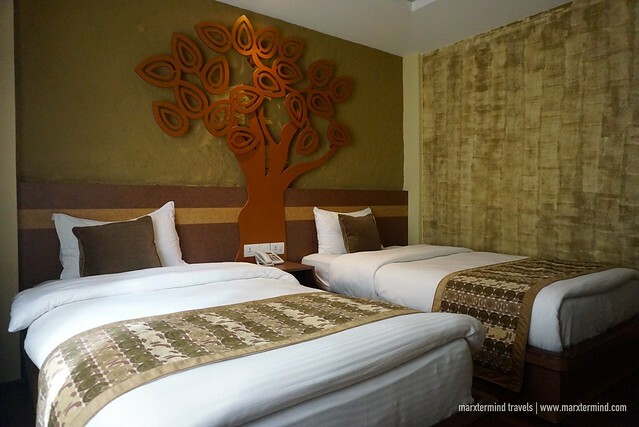 It has Double Room, Twin Room, Deluxe Suites and Family Suites. Each room has air conditioning and heating unit. 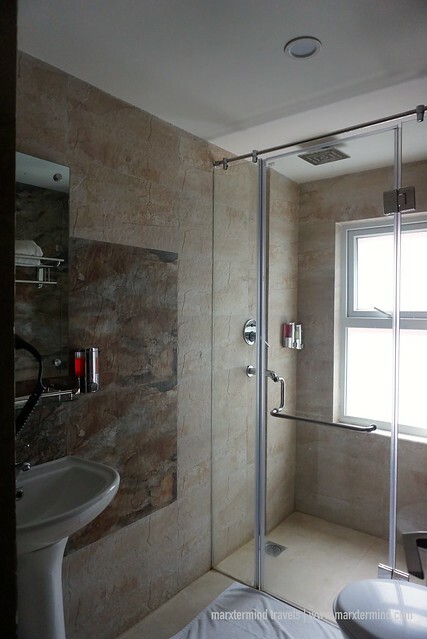 All room types also come with private bathroom. We stayed in a Twin Room. It has twin beds and nicely furnished. It is fitted with flat-screen TV, personal safe, mini fridge and tea and coffee-making facilities. The room also has a desk and a cabinet. The room was spacious and clean. 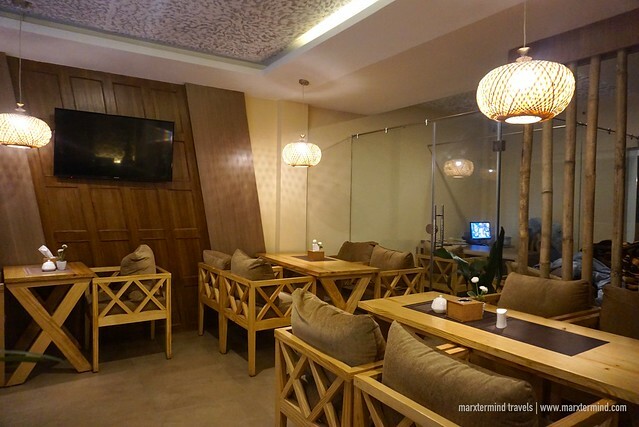 It also has a nice cozy ambiance that let us able to have our much-needed rest. Bodhi Boutique Hotel also features a number of facilities and services to give guests the convenience while traveling in Nepal. The hotel has 24-hour front desk and security, and offer transfer and tour assistance. 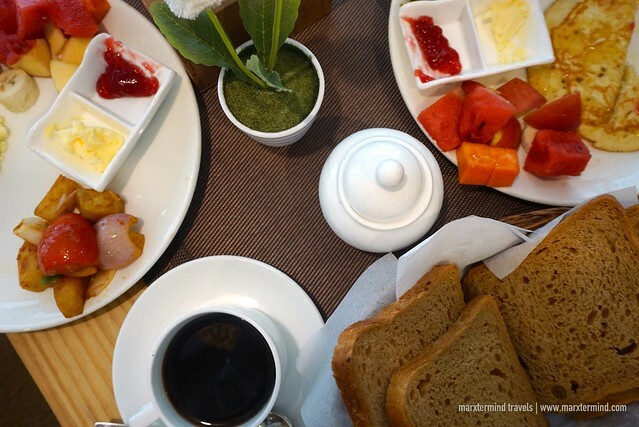 Complimentary breakfast is also available each morning and includes continental and à la carte options. The hotel also offers complimentary Wi-Fi connection that guests can get access throughout the property. In three days that we were in Bodhi Boutique Hotel, the hotel provided us everything to make our stay comfortable and enjoyable. 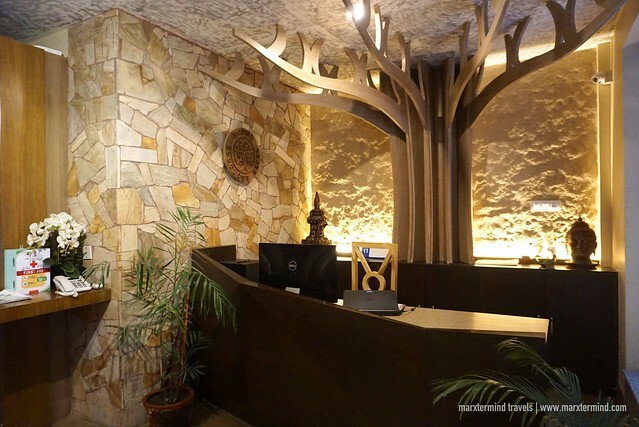 With clean and cozy rooms, it is an excellent choice for a place to stay in Kathmandu. The price is also affordable. Location is also good, which is strategically located in Thamel District. Staff members were also hospitable and attentive. A new friendly hotel, this is definitely highly recommended for tourists visiting the city. 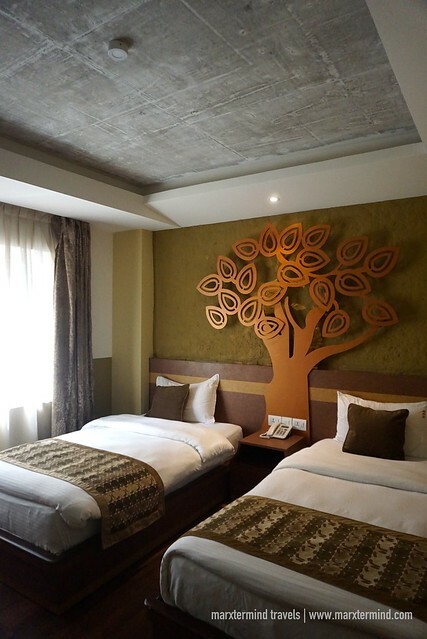 Bodhi Boutique Hotel is a nice budget hotel in Thamel District. It is an ideal place to stay in Kathmandu that offers clean rooms with great amenities and services.